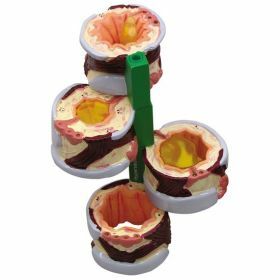 Bronchus, 4 pc Set Anatomical Model LFA #3120: 4-Stage cross section of the bronchus demonstrating the tissue changes occurring in asthma and chronic bronchitis. 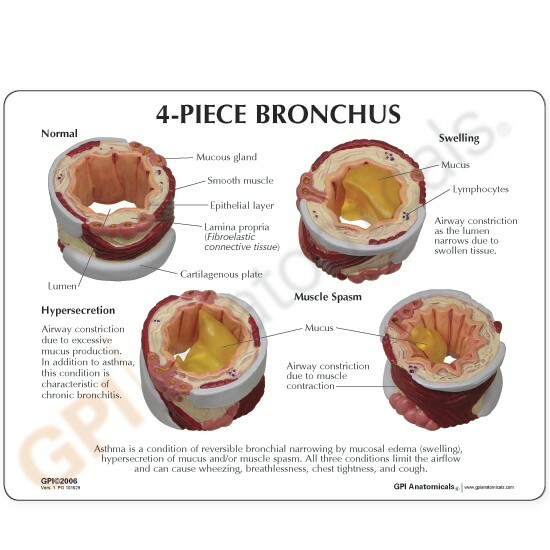 4-stages: normal bronchus, hypersecretion of the mucus gland, swelling with lymphoid aggregations and smooth muscle spasm. 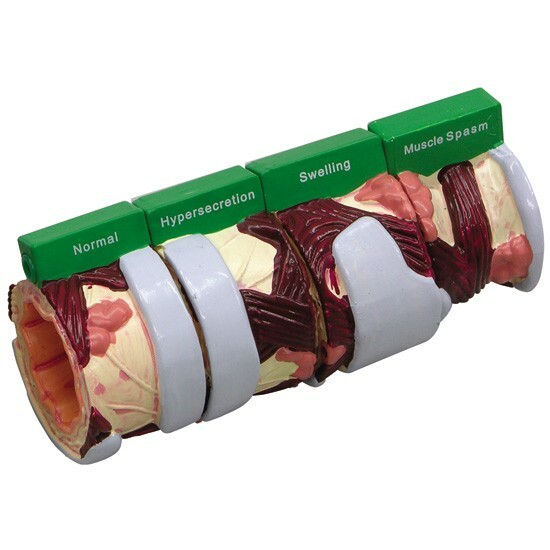 The model includes: cartilage, mucous glands and plug, spiraling smooth muscles, and the fibroelastic connective tissue and epithelial layers of the bronchus. All stages rotate on hinge pin. 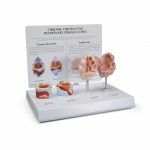 Ideal for clinical display and consumer education. Model size: Ea. 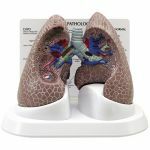 1 1/2" x 7/8" Card size: 6-1/4" x 5-1/4"
Suitable for Otolaryngology, ENT, and general anatomical study, training for surgical dissection, or for patient education or demonstration of procedures. Quantity discounts available. Made of a durable, plastic material accurately designed and colored to represent the major structures and, in certain instances, lesions or other abnormalities as described above.